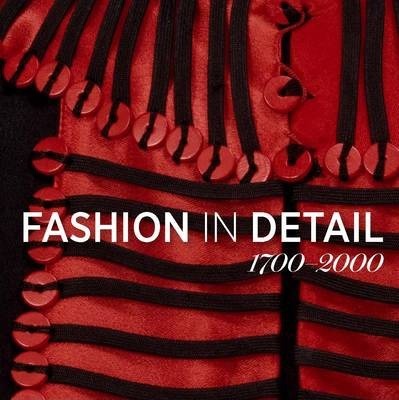 The V&A's renowned Fashion in Detail series has become essential reading for historians, costumiers, designers and fashion students alike and this impressive volume brings together for the first time, edited highlights from all the titles in the series. The V&A's Fashion Collection is the largest and most comprehensive in the world, housing unrivalled collections of dress, accessories, shoes and hats, from exquisite seventeenth-century gowns to twentieth century daywear and couture. This chronological survey covers four hundred years of fashion, drawn from the V&A's five best-selling volumes: Seventeenth and Eighteenth-Century Fashion in Detail, Nineteenth-Century Fashion in Detail, World Dress Fashion in Detail, Twentieth-Century Fashion in Detail and Underwear Fashion in Detail. With concise and authoritative texts by V&A curators, glorious colour photography and specially commissioned line drawings of complete garments, the reader is allowed the unique opportunity to look in the closest possible detail at the garments and revel in their breathtaking range of colour, texture and construction. Claire Wilcox is Senior Curator of Fashion at the V&A. She has curated many exhibitions including Vivienne Westwood (V&A 2004) and The Golden Age of Couture (V&A 2007) and edited the accompanying books.